An award-winning researcher, Dr. Wendy Osefo is a Nigerian-American television personality and a highly sought-after progressive political commentator and strategist. Wendy is a Professor of Education at The Johns Hopkins University, Contributor at The Hill, and the Founder and CEO of The 1954 Equity Project, LLC. 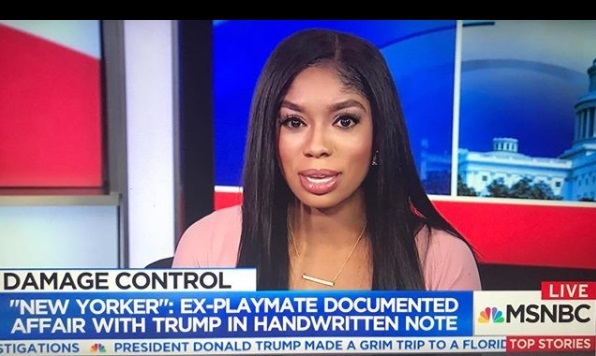 In addition to her extensive policy experience, Dr. Osefo has been interviewed by and provided commentary for CNN, MSNBC, Fox News, ABC, Fox Business, BBC, HLN, Russian TV, The Washington Post, In Touch Weekly, Business Insider, One America News Network, and TV-One to name a few. Dr. Osefo has a weekly radio segment on Radio One 93.9FM WKYS, entitled “Three Things You Need to Know, With Dr. Wendy O“. Additionally, Dr. Osefo has delivered keynote speeches and lectures on highly publicized issues in culture and politics. Coalescing her love for politics and social justice, Dr. Osefo discovered her passion was empowering people and communities through the design and implementation of effective policies and programs. Wendy began her journey at The Fund for American Studies where she served as an intern at The International Center for Terrorism Studies. There, she gained extensive national policy experience that led to her authoring her Master’s thesis at The Johns Hopkins University entitled Ethnic Rivalry, Corruption, and Impulsive Political Transitions in Nigeria. Having learned the intricacies of politics and policy, Wendy moved on to become a Policy Analyst at The Office of the Attorney General (OAG). Dr. Osefo went on to serve as the Director of Family and Community Engagement for the Obama Administration’s Antipoverty Initiative and the signature program for the White House Neighborhood Revitalization Initiative, DC Promise Neighborhood (DCPNI). While at DCPNI Dr. Osefo designed, and implemented culturally competent parent-centered engagement strategies and successfully created and launched the first comprehensive adult learning academy within an underserved neighborhood in Washington D.C. Her leadership in the creation of the first comprehensive adult learning academy led Wendy to serve as the inaugural Director of the Master of Arts in Management Program at Goucher College. Currently, Dr. Osefo serves as a Professor at The Johns Hopkins University where she teaches in the Doctor of Education (Ed.D.) program at the top-ranked School of Education. At Hopkins, Dr. Osefo teaches courses that examine the role of policy and politics in education, entrepreneurship, amongst many others. As a researcher, Wendy examines how race and class influence the learning, achievement, and educational trajectories of African American and other non-dominant students in schools and community settings. Dr. Osefo’s latest research explores the effects of the 2016 United States Presidential election on minority populations. As Founder & CEO of the 1954 Equity Project, Dr. Osefo develops and implements the strategic vision of the organization. The 1954 Equity Project provides students with navigational capital to not just survive academia, but to thrive in academia as their authentic selves. Through the use of the Osefo Equity Framework, the 1954 Equity Project builds community with underrepresented minority students in universities to create a platform for students to share their lived experiences, identify and navigate microaggressions experienced on-campus, and work collaboratively with school administrators to co-create equitable solutions to address issues of inequality. Speaking from a place of authenticity is what I do best. I take pride in being an orator, but truly enjoy connecting with my audience. My belief that anything and everything is possible. People are often discouraged when they receive a “no”. Obstacles motivate me to work harder to achieve my goals. To leave a positive mark on the world that my children can benefit from. I aspire to change the world for marginalized groups. My greatest accomplishment to date are my children. Regardless of what else I do in my lifetime, they are my greatest accomplishment. Completing my doctoral dissertation is one of the most challenging and difficult moment. It took a lot of time, energy, and effort, but has single-handedly had the greatest impact on my professional life. Remember this: Someone took the same situation you are complaining about and won with it. Oprah Winfrey and Barack Obama. Wireless airpods by Apple, my iwatch, and Canva web application. Enjoy seeing growth in both my professional and personal life. While I still have goals I want to obtain, it is great to know that I am one step closer.